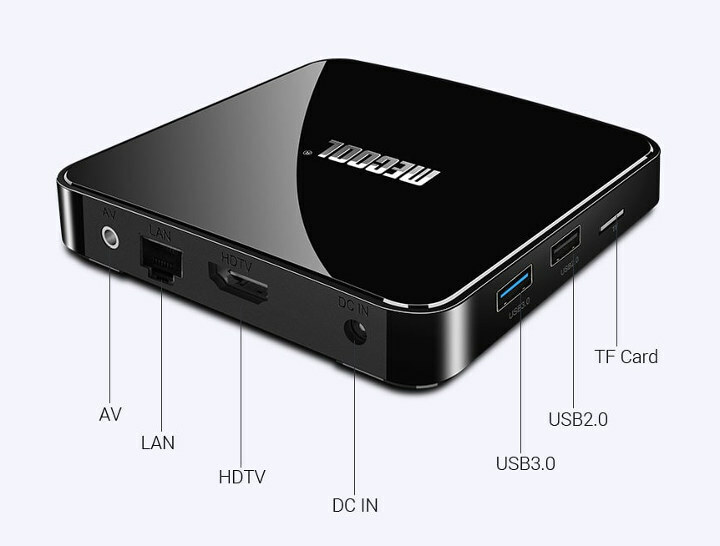 Several Amlogic S905X2 TV boxes have been launched in the last few months, but most of them are still running a modified version of Android 8.1 for smartphones. 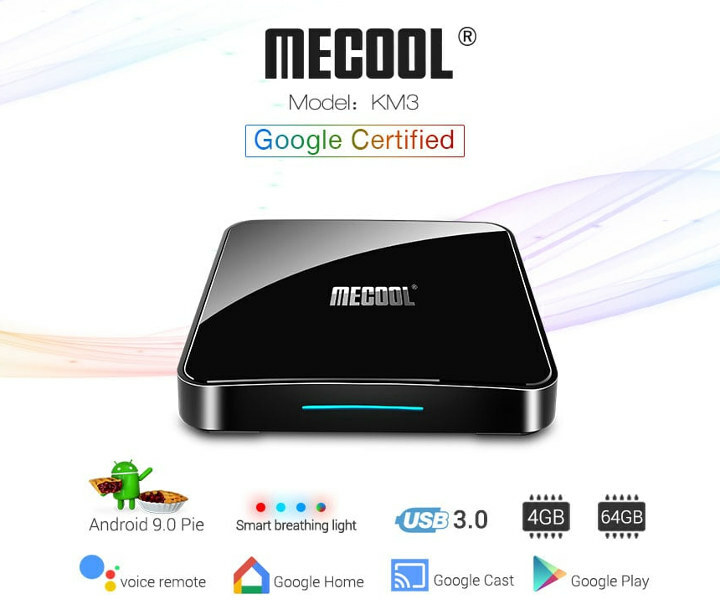 MECOOL KM3 is said to be a Google certified TV box running Android 9.0, which has to be Android TV 9.0 since Google will not certify a TV box without their TV optimized operating system. The TV box ships with a remote control, an HDMI cable, a power adapter, and a user manual in English. Having a Google certified TV box mean the TV box will support YouTube 4K (3840×2160 @ 30 fps), Google assistant via the remote control, Google Cast, OTA firmware update to the latest Android version, and so on. Note that Netflix certification is a different matter, and the product page do not mention anything about this so you may be limited to SD stream for Netflix. MECOOK KM3 can be purchased for $65.99 on GeekBuying with coupon MECOOLKM3, or alternatively, the box can be found on GearBest for $68.99. Why do they stick with 100Mbps LAN??? At least because it fucks all your network between the source and the destination with flow-control slowing all the traffic down. No, to all the chain of switches between the first and the last one since buffers remain full while waiting for flow the control timer to expire. Usually it’s the “backbone”, especially in a home where it’s common to chain switches between rooms or stairs. Ok, but what about 4K @ 75 Hz? That’s the HDMI 2.1 port form the SoC that allows that refresh rate. I’m not sure if there are any practical application however. Thanks, but I was referring to the 10/100Mbit LAN and the 4K @ 75 Hz. Makes no sense in my opinion. Ah so in the end the description was wrong. Indeed, 10/100, like 20 years ago. I dont speak spanish at all, but how/why did you manage to translate “10/100” to “gigabit”? Can such a box play Netlifx via Google Cast (Chromecast protocol) without Netflix certification? I guess not. Having had a Mecool which I bought recently I really wouldn’t recommend this company. That TV box is really crap and almost nothing works properly. They chose very cheap components and especially a very cheap Wi-fi chip and such.